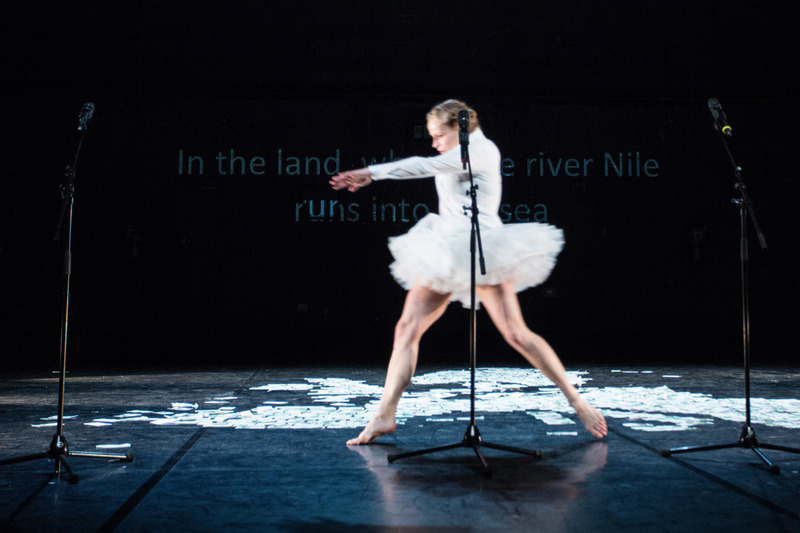 Inspired by the Arab Spring and the World Recession, Ballet of Revolt by Leja Jurišić and Petra Veber uses the Anti-Workers Manifesto and the music of George Antheil in order to interrogate the possibility of uprising in today's Western societies. Ballet of Revolt premiered to a critical acclaim at the Tanzquartier Wien in Austria. Like a mechanic doll Leja Jurišic moves to the jarring music of the legendary Ballet Mécanique by George Antheil, dancing her way across a map of Europe made out of banknotes. Simultaneously praising and ironizing the strength and possibility of revolt by re-reading Jonas Mekas’ radical Anti-Workers Manifesto, this not-mere-choreography emanates the power that is a reflection on the potentiality of activating more than just one’s aesthetic receptors when attending a choreographic performance. This piece contains an intensity which convincingly brings to the point the growing anger of the young generation, whose future is being gambled with at the stockmarket casinos of financial speculation. “You worker’s don’t care about what you do as long as you’re paid!” screams Leja Jurišić at the top of her lungs, while German chancellor, Merkel, rides the black bull into the sunset.